Due to the enormous diversity of plastic materials and the widely varied requirements for plastic products, various requirements for the performance of plastic injection mold steel have been laid down. Therefore, many industrially developed countries have created an extensive range of plastic mold steel series, including carbon steel, carburized plastic mold steel, aging hardening plastic mold steel, corrosion resistant plastic mold steel, free machining plastic mold steel, through-hardening plastic mold steel, maraging plastic mold steel and mirror polishing plastic mold steel, etc. According to the length of mold life, molds can be classified into 5 classes. 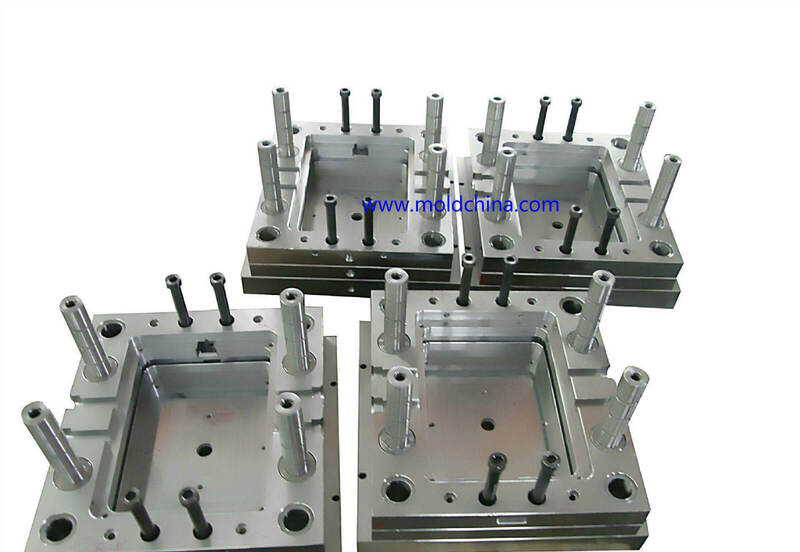 Class 1 mold runs 1 million or more shots, class 2 mold runs 0.5 – 1 million shots, class 3 mold runs 0.3 – 0.5 million shots, class 4 mold runs 0.1 – 0.3 million shots, and class 5 mold runs less than 0.1 million shots. Class 1 and class 2 molds require the steel materials that can be harden up, with a hardness around HRC50, or the molds will wear easily, leading to out-of-tolerance injection molded products. As a result, the selected steel materials need to possess good heat treatment properties and machinability despite the high hardness. Of course, there are some other considerations, too. Usually, the steel choices include Swedish 8407 and S136; American 420 and H13; European 2316, 2344 and 2083 and Japanese SKD61. For strongly corrosive plastics, S136, 2316 and 420 steels are normally chosen. In addition to S136, 2316 and 420 steels, low corrosion plastics can also choose SKD61, NAK80, PAK90 and 718M steels. Product appearance also has a great influence on the mold materials. S136, 2316, 718S, NAK80, PAK90 and 420 steel materials are suitable for transparent and mirror polishing products, while highly transparent products should primarily select the S136, and secondarily the 420 steel materials. 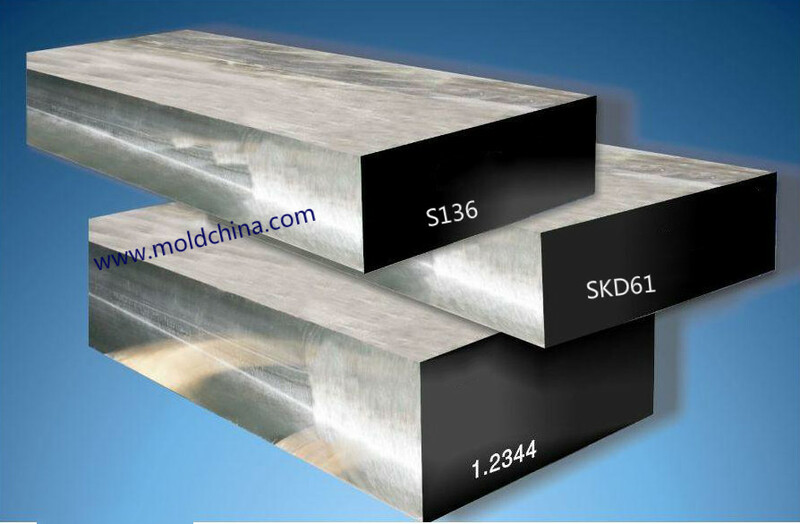 Class 3 molds mostly use pre-hardened steels, such as S136H, 2316H, 718H and 083H, with a hardness ranging from HB270 to 340. Product Description: The high grade stainless tool steel that possesses excellent anti-corrosion, polishing, anti-abrasion and machining properties. Electrical discharge machining (EDM) can create good mirror finishing effects and high quality surface finish; great stability will be showed when hardening. The cavity is able to maintain the original smoothness despite long-term mold production. Special care is not needed when the mold is operated or stored in a moist environment. So, it is recommended for molds that have high polishing requirements, as well as corrosive plastic molds. Product Description: The Cr-Mo-V tool steel is a high-purity fine steel material that is produced via special steelmaking technologies and under stringent quality control. The isotropy (physical properties are identical in all directions.) of the 8407 steel is better than the conventional H13, which brings great benefits of mechanical fatigue resistant and thermal stress fatigue resistant properties to the molds like die casting molds, forging molds and extrusion molds etc. As a result, the hardness of the 8407 molds is 1 – 2 HRC higher than that of the ordinary H13 without comprising the toughness. The high hardness is able to reduce the occurrence of crazing, thus improve mold life cycle. So, it is applicable for various die casting metal molds, extrusion molds, and plastic molds that have requirements for high quality. Product Description: The pre-hardened Cr-Ni-Mo plastic mold steel that is produced under vacuum melting for improved properties. Before leaving the factory, it has undergone the hardening and tempering processes, so there is no risk of quenching cracks or heat treating deformation, because it does not need heat treatment, but employs nitrogentreatment and flame hardening treatment to enhance the surface hardness and abrasion resistance of the molds. The excellent polishing and anti-abrasion properties allow it to be used for thermal plastic injection molds and extrusion molds, high polishing plastic product molds, as well as blow molds, forming molds, structural components and shafts, etc. Product Description: The pre-hardened steel (36-43 HRC) can be machined directly without heat treatment. Its hardness is quite uniform from the surface to the core with great machinability; possesses excellent electrical discharge machinability, and very easy to grind after EDM because the uniform surface hardness and lower white layer hardness are ensured after EDM; good mirror polishing features; excellent welding performance; great etching properties; and dimensional stability, making it suitable for precision parts production as well as mass production. As restricted by its chemical components, this steel material is quite brittle. When used for complicated molds, cracks tend to appear on the area where processing stress concentrates. Due to its high thermal sensitivity, preheating, heat reservation, post weld heat treatment (PWHT) and stress relieving treatment are required during welding, or weld failure might occur. What’s worth noting is that when treating temperature exceeds 520℃, dimensional changes can take place. Product Description: The DAIDO DHA1 steel is widely used for Mg & Al die casting molds. As a common hot-work mold steel, it possesses great machinability and balanced heat resistant features. DHA1 is mainly used for Mg & Al die casting molds, related parts of die casting molds, hot stamping molds, hot extrusion molds and hot shearing blades, etc.